Along with the other risks that you face when you go into the hospital for medical treatment is the risk of catching an unrelated hospital acquired infection (nosocomial infections). Hospital or healthcare-associated infections (HAI) pose a serious risk to patients in hospitals and other healthcare settings. The U.S. Centers for Disease Control and Prevention (CDC) reports that each day in the U.S. about one in 25 patients who go into a hospital has at least one hospital-acquired infection.  The experienced Fort Lauderdale medical malpractice lawyers at Yeboah Law Group protect your rights when you have been injured by a hospital acquired infection. You do not have to worry about paying up-front retainer fees because we take cases on a contingency fee basis. This means that you do not pay any attorney fees unless we win compensation for you. A hospital-acquired infection occurs because of being treated in a hospital or other healthcare setting. When an infection appears within 48 hours of being admitted to the hospital, within 3 days after leaving the hospital, or 30 days after an operation, it is considered a hospital-acquired infection according to the National Institutes of Health (NIH). A study published in Kaiser Health News reports that nearly half of South Florida’s hospitals fall below the CDC’s standards on infections. In order to curb infection rates in U.S. hospitals that receive Medicare reimbursements, the federal government stopped reimbursing hospitals for treating patients for infections that they acquired while under their care. Given that this policy was part of the Affordable Care Act, which is in the process of being dismantled, what will happen to improving safety standards in the future is unknown. While 75,000 patients die each year from hospital-acquired infections, patient safety must become a top priority. These opportunistic infections occur because the patient is exposed to a pathogen (disease-causing bacterium, virus or other microorganism) when their immune system is vulnerable because of an invasive procedure or due to an illness or disease. Just think about how many times you are exposed to bacteria, fungi and viruses but you are not infected because your immune system is doing its job. When hospitals do not focus on the prevention of hospital-acquired infections patients get sick and some will die. What are the symptoms of a healthcare-associated infection? Can I sue the hospital if I get an infection while I am a patient? If you are suffering from a hospital-acquired infection that you caught within 48 hours of being admitted, within three days of being discharged, or within 30 days of a surgical procedure, you may be able to file a lawsuit for hospital negligence for your hospital-acquired infection. Working with an experienced Fort Lauderdale medical malpractice lawyer is vital to the success of your claim because it can be difficult to uncover precisely how the infection was transmitted. For example, if you had a catheter installed and later had a CAUTI, it might be easier to draw a direct line of causation between the injury and the pathogen. In other cases of infection, proving when and how it was transmitted can be challenging. If the doctor was an employee of the hospital, you may be able to name the doctor and the hospital in the lawsuit. The plaintiff would have to prove a doctor-patient relationship existed, that the doctor, nurse or other medical professional’s negligent action or failure to act deviated from the accepted standard of care and caused the injury, and that the injury caused the plaintiff to suffer damages. 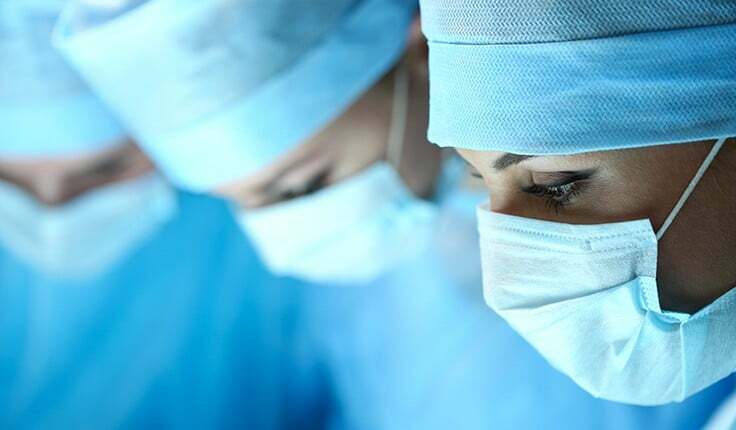 A skilled Fort Lauderdale medical malpractice attorney from the Yeboah Law Group will work with medical experts in the same field of specialty to investigate your claim, and testify about how the doctor’s or hospital’s negligence in not providing properly sterilized equipment, lack of cleanliness of the operating room, improper hand-washing, insufficient care to observe a sterile environment when performing catheterization, or intubation, etc. caused the hospital-acquired infection. If you contracted a hospital-acquired infection during your stay at a hospital, you have many challenges ahead. If your illness required you to lose time at work, you are likely looking to hold those responsible accountable for your losses. The experienced medical malpractice attorneys at the Yeboah Law Group are here to protect your right to recover fair compensation when the negligence of a healthcare professional caused your injuries. 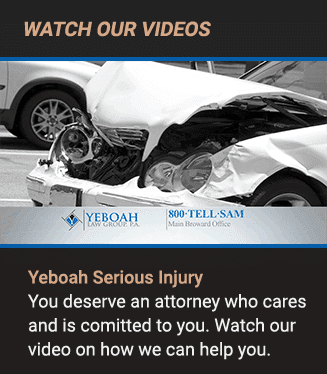 You are encouraged to call Yeboah Law Group now at 1-800-TELL-SAM or complete our contact form for a no-cost consultation.